Here are three easy ways you can make miracles happen! Wear a band aid with the name of a child who has been helped by Penn State Children’s Hospital and share it with the hashtag, #ChildrensHospitalsWeek. Watch a Facebook Live-a-thon with CMNH celebrities 7:30 p.m. on Wednesday and make a gift. 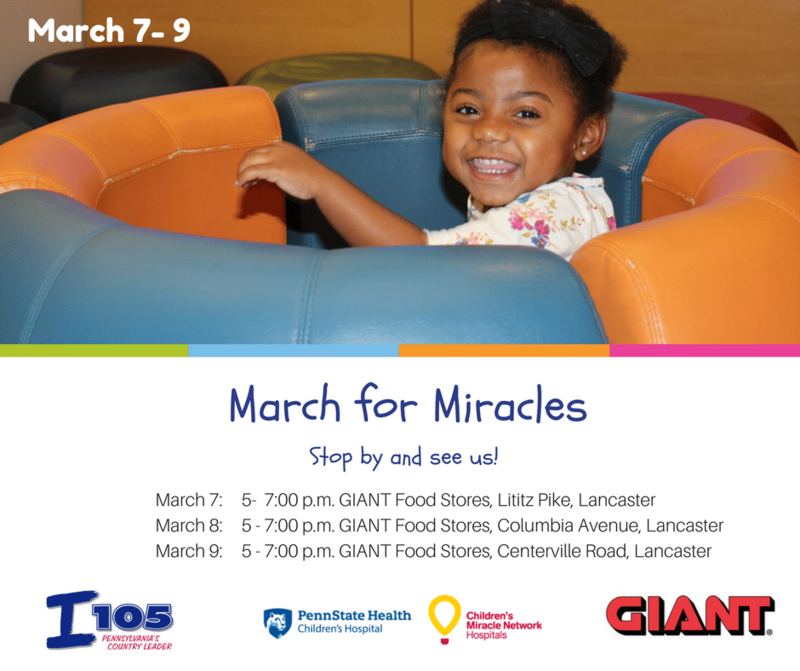 Tune in to our March for Miracles Radiothon with The Big I105 Wednesday – Friday. Donations will support the expansion of Lion’s Pledge, a cutting-edge program that helps make shots, IVs and blood draws less scary and painful for kids. Donate: 1-877-543-7365 or online.